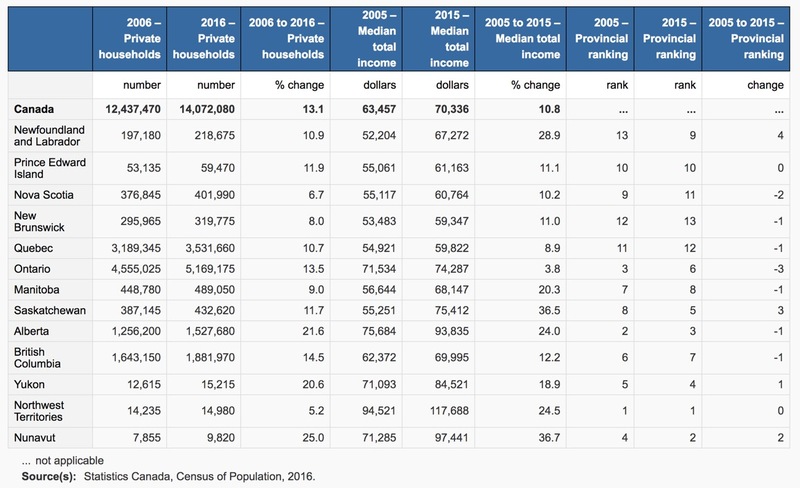 #StatCan Census 2016 showed average household income grew 10.8% from $63,457 in 2005 to $70,336 in 2015. 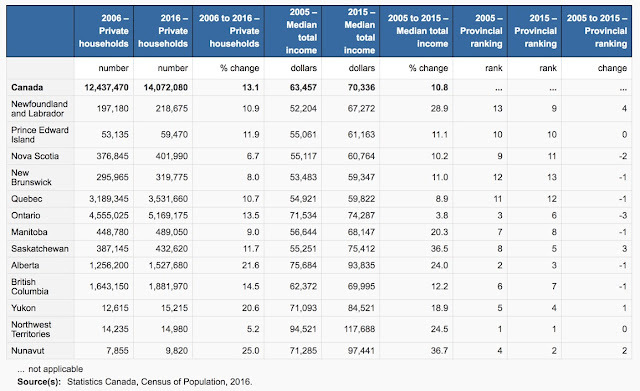 Resource rich provinces and territories experienced strong income growth during the reported decade. For details, refer to Statistics Canada website.